In other words, you can’t talk about oil in Ontario without talking about Alberta, which means taking hydraulic fracturing (aka “fracking”) and oil sands into account. See also: What countries are the top producers and consumers of oil? Ownership of subsurface rights has fossil fuel, aggregate, mining, and water ownership implications. “Fracking” is a slang term for hydraulic fracturing. Fracking refers to the procedure of creating fractures in rocks and rock formations by injecting steam or fluid and sand into cracks to force the rocks open, and to allow the oil and gas to flow out. Vertical fracked wells have been drilled for decades but fracking was transformed when it was combined with new technologies such as 3D seismic imaging and horizontal high-volume (aka “slick-water”) fracking, which became commercially successful around 2003. Historically the oil from the shale formations was too expensive to extract until technology was developed to drill horizontally. 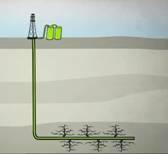 Now fracking can occur kilometres below the surface, for kilometres away from the vertical well shaft. A 6-acre drilling pad can extract gas from beneath 1,000 acres of land (article .pdf). The fracking process is very controversial. Opponents cite water pollution, earthquakes and a slew of other problems. For more information re: fracking, click here. 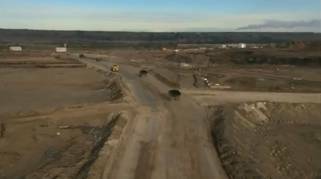 The terms “oil sands” and “tar sands” are used interchangeably with a more negative connotation on the latter simply for the imagery it conveys. Upgrading converts thick bitumen to synthetic crude oil and diesel fuel. Byproducts are petroleum coke, sulphur and tailings. North Atlantic Refinery, Come by Chance, Nfld. Refining diluted bitumen (aka “dilbit”) prior to transportation requires finding a customer for each specific product, be it gasoline, diesel, jet fuel or otherwise. Petroleum coke (aka “petcoke”) is considered a refinery by-product. Pacific Future Energy Corp eyes ‘money left on the table’ for $11-billion refinery project in B.C. BC’s 3 oil refineries: which will go? Carbon capture and storage (CCS) is the process of capturing waste carbon dioxide (CO2) from large point sources such as fossil fuel power plants, transporting it to a storage site, and depositing it where it will not enter the atmosphere, normally an underground geological formation. The aim is to prevent the release of large quantities of CO2 into the atmosphere. Fossil fuels can be shipped by truck, rail, pipeline or ship. Word is that each commercial plane flight uses the same amount of fuel as one year of car driving for each and every plane passenger. This needs confirmation. For decades, the International Maritime Organisation (IMO) has rebuffed calls to clean up ship pollution. As a result, while it has long since been illegal to belch black, sulphur-laden smoke from power-station chimneys or lorry exhausts, shipping has kept its licence to pollute. Thanks to the IMO’s rules, the largest ships can each emit as much as 5,000 tons of sulphur in a year – the same as 50 million typical cars, each emitting an average of 100 grams of sulphur a year. I was a marine engineer in the late 70's early 80's.We always switched to diesel fuel 2hrs before our arrival at any port.The bunker fuel used at sea had to be heated and run through a high speed centrifical purifier before being burned in the engine.The purifier removed more sludge from the bunker but also generated sludge which would be stored in a sludge tank.The tank would be subsequently dumped at sea.Don't know if this practice is still used today. In May 2013, Global News published “Crude Awakening - Introduction: 37 years of oil spills in Alberta” which calculated that Alberta has had an average of two crude oil spills per day, every day for the past 37 years. Also it’s not just oil that leaks – produced water and source water are detrimental to the watershed and natural environment as well. There is also air pollution. Kalamazoo spill whistleblower, John Bolenbaugh, points out that spills are lucrative for oil & gas companies. Once a spill occurs, insurance covers the costs and cleanup companies (typically owned by the oil & gas companies) are hired. Shutting down operations for proper maintenance costs money. Spills generate revenue. For a partial list of accident, spill and explosion history, click here. Citizen complaints include skin rashes, open sores, nose bleeds, stomach cramps, loss of smell, swollen and itching eyes, despondency, depression. Livestock too can be affected with neurological, reproductive and gastrointestinal disabilities. Death may also be an outcome of exposure to oil and gas processing pollution. Sarnia is the most toxic place to live in Canada. 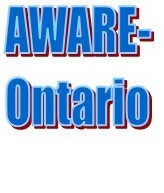 Click here for more information about Ontario's "Chemical Valley". For further information on Health & Safety regarding oil and gas development, click here. Humankind has been using fossil fuels in significant quantities for just over one hundred years. At first fossil fuels were easy to find and cheap to extract but that is not the case today. Unconventional fuels (aka “fracking”) place environmental, social and economic costs and risks on human and wild life populations that may exceed the limits of the planet. Yet we have grown reliant on fossil fuels, much more than you may think. What happens if, when, we run out or can no longer afford the cost of extraction? Metro News Article: Infographic: Where is fracking happening in Canada? “We all need energy, we all use various forms of gas and energy that involve varying degrees of risk for us and our environment. Accurate information about the risks is necessary to determine the cost to our environment and people’s health. The thought of censoring objection, or burying questions and concerns with glossy marketing materials defies the principles of critical analysis. The price we may pay in the long run with damage to our environment from these chemicals may be too much, but those with money to make in the short term don't want to have a conversation with full disclosure about potential risks. “First, there are TWO forms of water that come back out of a well bore – flowback and produced water. Flowback water returns to the surface during the hydraulic fracturing process, and the amount that returns is typically between 10 and 60% depending upon the formation and downhole pressure. Flowback water contains frac fluids and sand (as a proppant), as well as naturally occurring minerals, heavy metals, salts and radioactive materials that were buried until the well bore was drilled and fractured. Produced water returns to the surface during production operations when oil or gas are being sent to the wellhead. Produced water contains some of what was originally the water used to frac the well combined with the deep earth elements that were released during the fracturing process and any groundwater that is found within the gas- or oil-bearing strata. Both flowback and produced water are hazardous, flammable and explosive. Both are harmful if breathed, consumed or absorbed by the human body. Both can kill, main or sicken a human, animal or plant. Both cause pollution of water, air and soil. I am opposed to the Energy East pipeline and urge the Quebec provincial government to take all measures necessary to ensure it is never built. The project jeopardizes water, land, and ocean ecosystems by the use of fifty year old natural gas pipelines that were never designed to transport bitumen. Bitumen is thick and viscous, and must be diluted with toxics and pumped under great pressure to flow in pipelines. Doing so puts Canadians and ecosystems at risk of further disasters from oil sand leaks and explosions. Your great province’s own tragedy in Lac-Mégantic – and the disastrous pipeline spills in Kalamazoo, Michigan, and Mayflower, Arkansas – highlight the dangers of transporting oil sands crude. I am writing to demand that the Government of Quebec protect the health and safety of Canadians by denying approval for the Energy East pipeline. I am writing to strongly oppose the Energy East pipeline, and to urge the Quebec provincial government to take all measures necessary to ensure it is never built. The project will industrially develop and destroy water, land, and ocean ecosystems across a vast swath of Eastern Canada’s intact ecosystems. The world demands that the pipeline not be built and that tar sands be left in the ground under intact old-growth boreal forests where they belong. Shockingly, the TransCanada Corp. plans to convert and extend a fifty year old natural gas pipeline to transport tar sands crude through Quebec. Tar sands is thick and viscous, and must be diluted with toxics and pumped under great pressure to flow in pipelines. Doing so puts Quebec's peoples and ecosystems at risk of further disasters from tar sand leaks and explosions. Your great province’s own tragedy in Lac-Mégantic – and the disastrous pipeline spills in Kalamazoo, Michigan, and Mayflower, Arkansas – highlight the dangers of transporting tar sands crude. The project’s ecological unsustainability is made worse by the fact it would be carrying filthy tar sands synthetic oil – derived from the clearcut mining of old-growth boreal forests. The extraction and refining of tar sands oil requires massive deforestation, consumes tremendous amounts of fresh water, and leaves behind toxic and cancer-causing chemicals. Its transport threatens half a continent’s wetland ecosystems, waterways, and aquifers – and will release tar sands’ and boreal forests’ huge carbon stores. The simple fact is this: more pipelines equal more tar sands mining – and that means more greenhouse gas emissions. 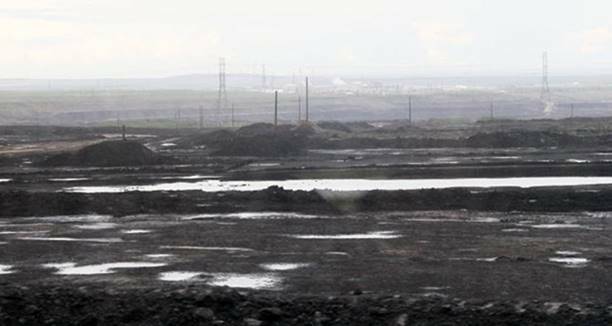 The CO2 embedded in the tar sands, all by itself, means “game over” for the world’s stable climate system. Together, we need to invest in clean energy, not tar sands expansion, which signals continued fossil fuel addiction. The world has better energy choices than dirty tar sands oil – including efficiency and conservation and the development of critical renewable and energy-saving technologies and policies. I am writing to demand that the Government of Quebec protect the health and safety of your citizens and the world by denying approval for the Energy East pipeline. Please either immediately make clear that Quebec will never allow such a pipeline or else face escalating protest. The world is watching and expecting you to lead. “Fracking” is a slang term for hydraulic fracturing. Fracking refers to the procedure of creating fractures in rocks and rock formations by injecting steam or fluid and sand into cracks to force the rocks open, and to allow the oil and gas to flow out. Fracking well operations cause air quality problems, water pollution problems, water supply problems, explosions, spills, health problems, social problems, real estate and financial problems. This exploitative extractive industry tends to take the oil and gas, and all of the money, leaving local governments and people to deal with the repercussions. Gas drillers pledge their leases at banks to borrow the money to drill wells and pay contractors. When they can’t pay, the bank forecloses on the loan and the contractor’s file mechanics liens against the encumbered asset. “The encumbered asset” is legal talk for “your farm,” as many hapless folks are finding out. A mechanics liens from a contractor would certainly go against the leased mineral rights, and if the lease contained surface access (which it would have to) then, conceivably they could get a judgment against the land owner. Regardless, if the lien is legitimate it will cloud the title – so if the landowner goes to sell or refinance, they may have to pay off the contractor just to get rid of the mechanic’s lien. Anyone that is Compulsively Integrated into a well could face such an encumbrance. Plus the encumbrance of the banks that these leases have been pledged to en masse to drill the wells. Those can find their way back to the individual leases, since that was the collateral in the driller’s loan: Somebody’s farm. A lot of farms.